Never before in the history have we labeled so many children with a mental disorder. Just this month the CDC announced that 1 in 5 U.S. children have a mental disorder—that’s 20%. While we question those diagnoses in light of the fact that U.S. doctors basically work on commission for Big Pharma, we also know that our foods, environmental toxins, and other factors could be playing a role in what some parents consider “symptoms”. This is especially true for issues like ADHD, which can actually be solved with natural remedies and dietary changes. One of the major disorders being affixed to today’s youth, attention deficit and hyperactivity disorder, or ADHD, is said to affect about 5.4 million American children, and many of them are being drugged for it. The drugs most commonly used for ADHD are stimulants and come with a whole host of side effects. They might mellow out a child, but they also cause poor appetite and weight changes, drastic mood swings, and the child to be a mere shell of what he/she was before. While your medical doctor may have you believing there are only so many things you can do outside of medicating them, you have to remember who you are talking to. It’s sad to say that ADHD drugs are so “in” that they are bring prescribed to ‘all academically struggling’ children. This mind-altering, backwards solution is leading neurologists to even speak out against ADHD drugs. 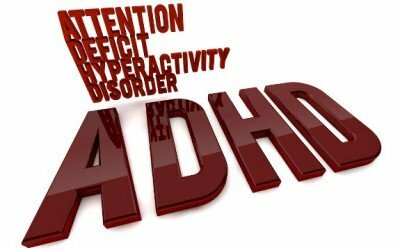 There are numerous natural remedies for ADHD—from dietary changes to lifestyle activities and herbal remedies. These solutions simply don’t get the same amount of coverage in today’s medicated world. 1. Diet – Modern foods are chocked full of man-made ingredients designed to make them look cooler, last longer, or just be addictive. But it’s these ingredients within processed foods that pose the greatest danger to the kids they are targeted at. Artificial colors, MSG, and pesticides have all been linked to ADHD in children. The solution: eliminate them. Because nutritional deficiencies and food sensitivities have also been linked, feed your child a healthful diet of mostly plants. Sugar, processed grains, and other foods that raise your child’s blood sugar should also be avoided. Quite simply, simple dietary changes can be the answer to ADHD-related issues. That, and a stop to the false labeling of children. 2. Lifestyle – Today’s children are less active than ever. They spend more time in front of technology devices and far less time outdoors. When a child is forced to “sit still” all day, it is normal for them to fidget or have difficulty paying attention. The solution: limit television, video game, and computer time. Prescribe some outdoor activities. And if your child is resistant, remember they learn by example—so get out there with them! 3. Herbs – Diet and lifestyle changes should be the priority, but when those are taken into consideration and your child still needs assistance, there are several herbal solutions. Keep in mind, just because they are herbal doesn’t mean they aren’t without side-effects. Do your research and pay attention to how your child responds. Things like Siberian ginseng, gingko biloba, green oats, and gotu kola have all shown promise as natural attention deficit treatments. When a “medical phenomena” seems to come out of nowhere and affect such a large amount of people, let alone children, we need to be suspicious. There is no simple explanation for ADHD and there is no simple solution. Total body and mind health, however, is a good place to start. Holistic care treats the whole person, rather than just specific areas of the body. The primary difference between holistic care and conventional medicine is that holistic practitioners try to use naturally occurring substances to treat illnesses and disease instead of manufactured chemicals. Additionally, there is a focus on alternative therapies including chiropractic care, acupuncture, massage and even psychotherapy when appropriate. Karen you aren’t loaded with the right rites to say anything of ADHD . I was diagnosed late in life , but the first day I took Ritalin my focusing problem went away . I don’t care what anyone says or admits , its real and the mood enhancing drugs are the cure . So please leave us alone because its not a joke or a conspiracy . wow…good thing i was able to read this article it sure is an eye opener, I for one is guilty of false labeling children, if they are too active or lacks attention i tend to label them, but yeah given with the reason that they indeed spent most of their time clicking or typing or something in front of their gadgets. Good thing their are natural remedies to help kids who are indeed suffering from ADHD. A child of seven in my class had to have a personal attendant in the playground after lunch every day because he went berserk. When we stopped his mother providing him with orange squash to bring each day, his behaviour became perfectly normal. However, he still came on a school trip with a large bottle of squash, which I said I would keep for him and offered water, which he drank instead. No trouble. No ADHD. Penelope. Thank you and you are right I think food is a key player along with too many other stressors these days. Eliminate those and add a correction in diet and many children would be drugged – free. Wouldn't that be a great thing. Question's: Will this deception be the one that will cause parents nationwide to STOP. LOOK. LISTEN and LEARN? Will this knowledge and truth be enough to cause them to open their eyes and become righteously outraged? Will they then take their children's rights back, get them off this poison mind controlling medication? Will they seek a better, more normal and certainly healthier way at helping our children through their stressors and life situation's? Will they with due diligence stop listening and take responsibility back to themselves for the rearing and teaching of their children? Time will tell? I pray many will. Thank you Karen for telling us who struggle with ADD/ADHD in our lives on a daily basis that our issues are merely made up. I am only the messanger, Yah Right and mean no harm but want to set this crazy invention out to pasture once and for all. I posted all the links so anyone can research it if they want. Dr Eisenburg invented ADD/ADHD and was paid extremely handsomely for doing so by the Pharmacutical industry to increase drug sales and profits. This truth came from him. I am sorry for what you have been going through but ADD and ADHD are just not a disease of any kind. a pure invention is all. I shared in order to be helpful and maybe for some it will. I hope sincerely hope so . Label it what you will, the collection of symptoms and personal challenges currently called "ADHD" is real. I agree that it is not a "disease" in the current AMA-enforced medical sense. Rather, it is a physiologically-based condition which over time affects an individual's cognitive and social skills. Harmaceutical drugs are definitely not the answer, but it can be helpful to identify sufferers and draw their attention to the many helpful lifestyle and dietary aids which help alleviate the disadvantages of the condition. Therefore I disagree with those who want to make all the harmaceutical abuse go away by claiming the entire issue is a fiction. ADHD IS real; however it is not a "disease" in the medical sense and should not be used as an excuse to sell harmaceutical poisons. 'Dr. Eisenburg telling us finally and openly that ADHD is a fictitious disease, utterly, fabricated to sell pharmacological drugs and raise massive profit margins. The task of psychologists, educators and doctors is not to put children on the “chemical lead” because the entire society cannot handle the products of its misguided theories of man and raising children, so instead bought into the guilt-free lie and happily and instead hand over our children to the free pharmaceutical market. This now known…and easily researched…should awaken many and cause them to undo a grievous wrong done to their child's mind and seek healthy alternatives to get them off this filth once and for all.' How is anyone to dismiss his words on the subject? Dr Leon Eisenburg has told us a truth, what people now are going to choose to believe is another story entirely. The truth simply stated by Dr, Leon Eisenburg: ADD and ADHD drugs are "Human enhancements by means of pharmacological agents. The consumption of pharmacological agents alter the child’s behavior without any contribution on his or her part. That amounts to interference in the child’s freedom and personal rights, because pharmacological agents induced behavioral changes – but failed to educate the child on how to achieve these behavioral changes, independently. The child was thus deprived of an essential learning experience to act autonomously and emphatically which considerably curtails children’s freedom and impairs their personality development. The bottom line is that Dr Eisenberg realized late that once the drug had been invented, that he assisted in to help normalize Mental Patience so they could be released from the mental institutes acting semi-normal. The Institutes could be closed down. Now they had a drug and needed to find another used for it – (same as with agent orange and the like…we all know how it goes) thus the invented disease ADD and ADHD. As you can imagine now, it made a lot of money for the drug industry. They have done little good with it all and have helped to cause much broken, imo. Part 2 ~ Dr Leon Eisenburg continued…. In the United States every tenth boy swallows an ADHD medication on a daily basis. With an increasing tendency. This is all an extremely well paid for lie and deception. In any case, no one can easily get around the testimony of the father of ADHD, Dr. Eisenburg telling us finally and openly that ADHD is a fictitious disease, utterly, fabricated to sell pharmacological drugs and raise massive profit margins. The task of psychologists, educators and doctors is not to put children on the “chemical lead” because the entire society cannot handle the products of its misguided theories of man and raising children, so instead bought into the guilt-free lie and happily and instead hand over our children to the free pharmaceutical market. This now known…and easily researched…should awaken many and cause them to undo a grievous wrong done to their child's mind and seek healthy alternatives to get them off this filth once and for all. Part 1~ Dr Leon Eisenburg has told us a truth, what people now are going to choose to believe is another story entirely. The truth simply stated by Dr, Leon Eisenburg: ADD and ADHD drugs are "Human enhancements by means of pharmacological agents. The consumption of pharmacological agents alter the child’s behavior without any contribution on his or her part. That amounts to interference in the child’s freedom and personal rights, because pharmacological agents induced behavioral changes – but failed to educate the child on how to achieve these behavioral changes, independently. The child was thus deprived of an essential learning experience to act autonomously and emphatically which considerably curtails children’s freedom and impairs their personality development.